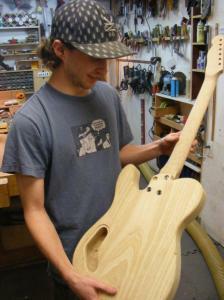 In 2011, Jesse built his first thinline telecaster with Master Luthier Tony Karol. This was the first step in a long and musical journey. Now, Jesse specializes in building traditional designs of the ‘50s, with a modern touch and flair. His process is a mixture of the old and new. Leo and Les really did get it right the first time, but Jesse enjoys taking a different approach to these classic models by adding his own touch to bring out the best in the modern guitar player. Sourcing the wood sustainably is also something Jesse strives to do. Traditional woods like Swamp Ash, Mahogany, Maple, and Rosewood all play a major role in what he does, but branching out using exotic woods is one of the best parts of the process. Each piece of wood that goes into a build is matched for tone and balance, as well as grain orientation for aesthetics. The most important part of a guitar for him, and hopefully most players, is the neck. 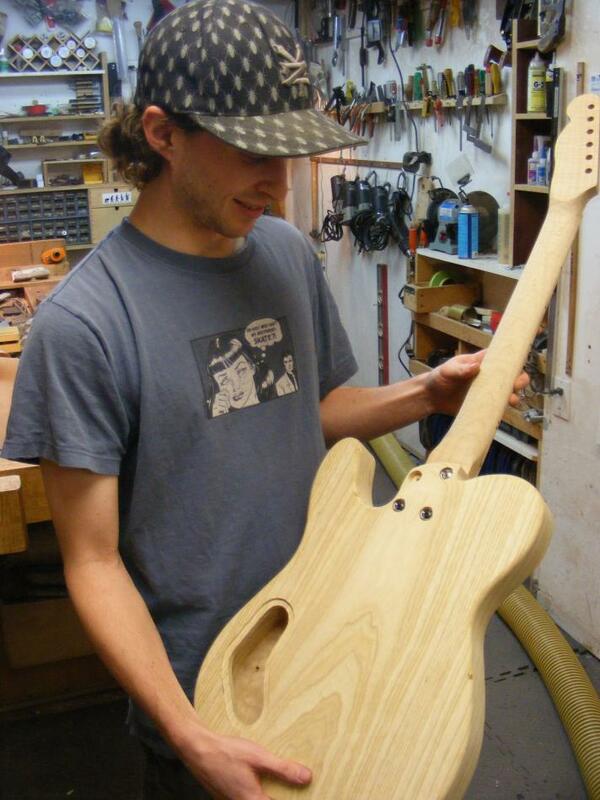 Jesse meticulously hand carves each neck to YOUR exact specifications. From nut width, fretboard radius, and neck profile, every aspect is customized to your needs.